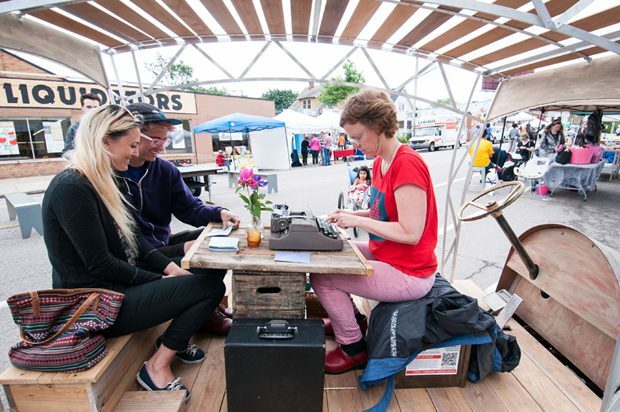 Poetry for People uses the Poetry Mobile or the simple presence of a poet and a typewriter to write original, spontaneous, customized poems for people on the spot. 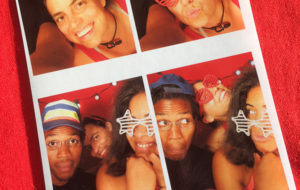 Poetry for People believes that poetry has the power to move people. 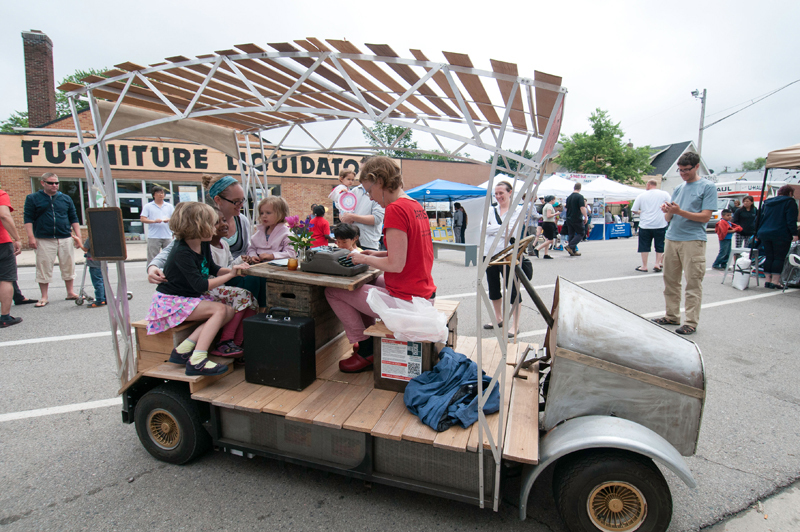 We took that belief literally and invented the Poetry Mobile, a former golf cart turned outdoor writing studio complete with a poetry library, a wind chime, and built in benches and desk. 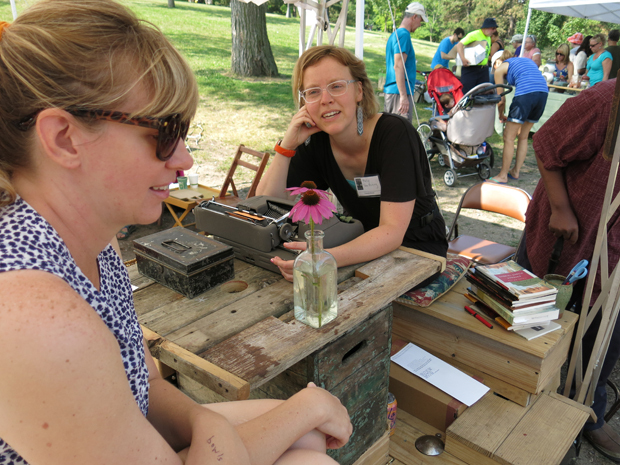 At events, participants climb onto the poetry mobile and tell the poet who they want a poem for and why. After an intimate conversation, the poet ruminates on what was said and creates an original poem using an antique typewriter, reads it out loud when it is done, and tucks it into an envelope for the participant to take. 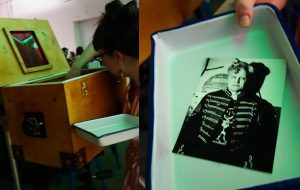 This project creates powerful moments of introspection, emotion, and delight. Poems have been written for trees, homes, babies, and more and range in style from love poems, to odes or elegies-all typed out in spontaneous bursts of poetic inspiration. Poetry for People allows participants to go deep or stay light and delighted, depending on the context and the participant’s guidance. Expect laughter or tears, but either way, this project is a chance for people of all ages and stages in life to be seen and celebrated. 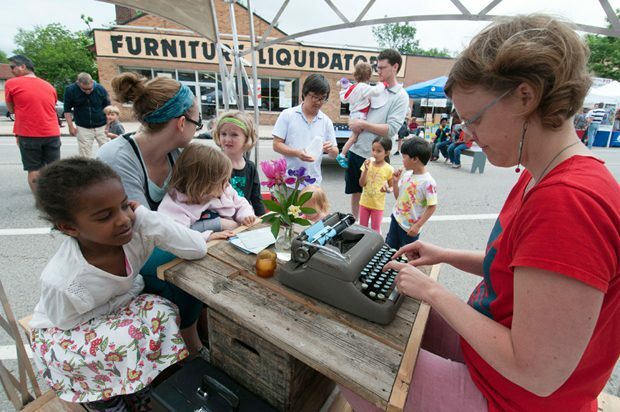 Crafting spontaneous, personalized poems can happen anywhere, indoors or out, and at the most basic level involves a poet and a typewriter. The Poetry Mobile can be a magical addition, but not necessary for the exchange to take place. 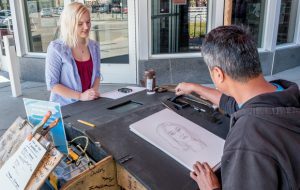 Standard Neighborhood Event Rate: For events in the 55407 zip code Poetry Mobile is $200 for 2 hours. 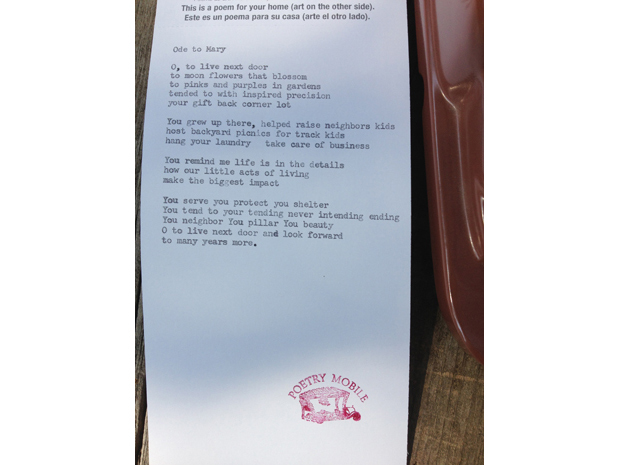 $500 minimum to have the Poetry Mobile present at event outside of 55407 zip code for 3 hours. $75 for each additional hour after 3 hours. Without Poetry Mobile-$75/hour includes poet, typewriter, desk, and benches for a self contained project that can happen indoors or out. 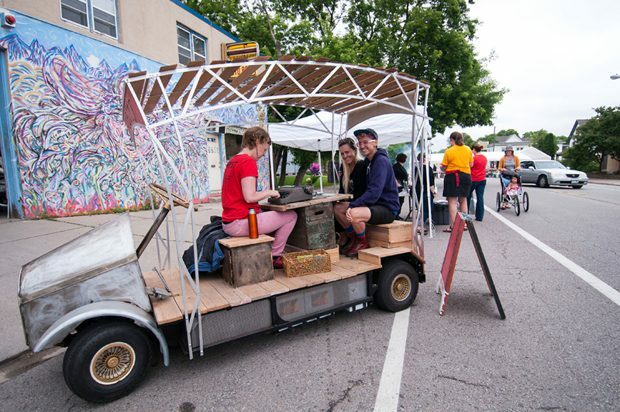 Poetry Mobile is built on an electric golf cart body. To travel outside the 55407 area requires a trailer. Currently working on a more easily transportable version.